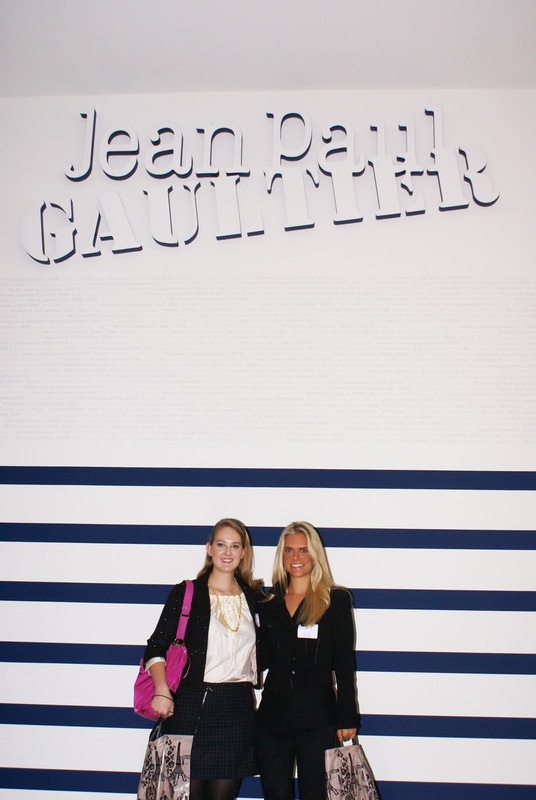 Small 4 Style: Small4Style at the Dallas Museum of Art with Jean Paul Gaultier! Small4Style at the Dallas Museum of Art with Jean Paul Gaultier! Jean Paul Gaultier Comes to Dallas! Jean Paul Gaultier made his first trip to Dallas a few weeks ago for the debut of his exhibition, “The Fashion World of Jean Paul Gaultier: From the Sidewalk to the Catwalk.” Dallas fashion show producer and fashion-icon Jan Strimple says “events preceding the public opening will cause Dallas's fashion community to collectively hyper-ventilate.” Imagine my excitement to have the incredible opportunity of attending the press preview event for the exhibition in the company of Jean Paul Gaultier himself! I was certainly hyper-ventilating, just like Jan said. French couturier Jean Paul Gaultier has been a forceful influence on fashion around the world. Celebrities like Nicole Kidman, Madonna, and Lady Gaga are all Gaultier fans. Gaultier redefines the definition of beauty. He is “more attracted to something different” and likes women with “attitude.” Gaultier talked a lot about his biggest inspiration: Marie, his grandmother. When she was out of the house, he would look at her closet. He was “fascinated” by her and her unique style. It was a privilege hearing him speak in person. I ran into editor-in-chief of LOLO Magazine and former SMUStyle blogger Lauren Scuggs at the press event. We tried to get a picture with Monsieur Gaultier, but he was not doing personal photos. We had a great time obsessing over Gaultier together! Just seeing him was a thrill in itself, and Gaultier seemed delighted to be in Dallas to launch his exhibition. When asked about what he thinks of Dallas style, he said, “I saw some women that were very elegant, super elegant. And that were even more Parisian than some Parisians." If there’s a style compliment higher than that, I don’t know what it is! He sketched a greeting specifically for the Dallas Museum of Art goers. It was a cowboy with the message, “For Dallas, With Love! Jean Paul Gaultier.” I know this Stylista loves Jean Paul right back!